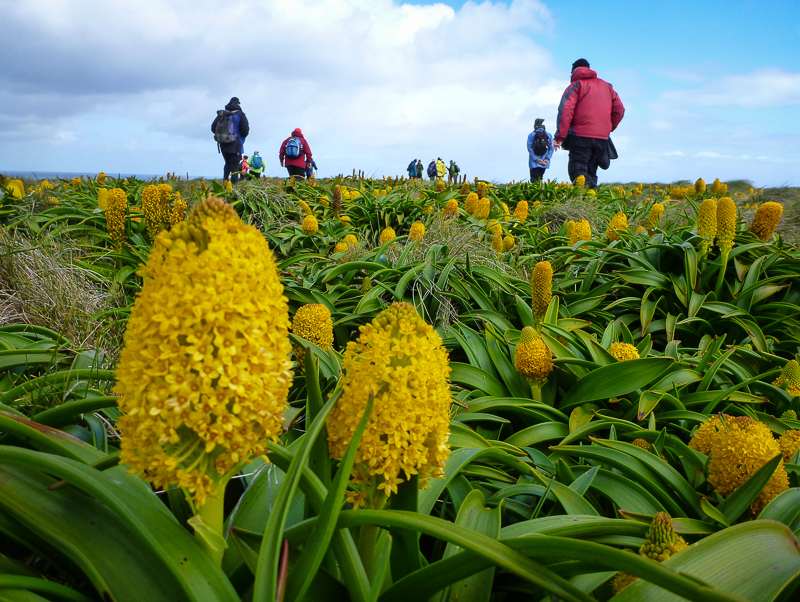 Our Big Blue Backyard:The Auckland Islands Sunday 27th November, TVNZ1 , 7.30pm. Every summer, massive congregations of New Zealand sea lions and giant spider crabs descend upon the sub-Antarctic Auckland Islands to carry out their violent breeding rituals, wreaking havoc for yellow eyed penguins, and other year-round residents. 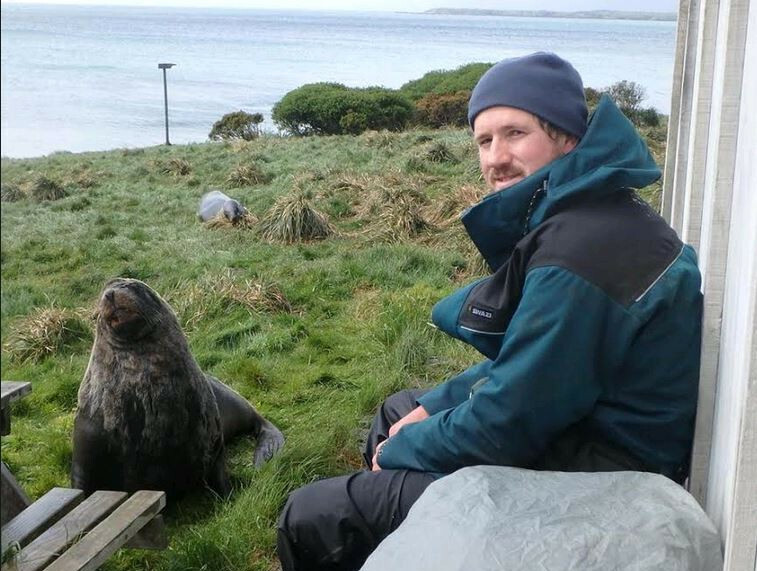 In early January of this year, the Spirit of Enderby picked up intrepid documentary filmmaker Bill Morris from the Auckland Islands, where he had spent two months filming footage for acclaimed New Zealand documentary series Our Big Blue Backyard. Bill spent his time filming sea lions, penguins, albatross, giant petrel and anything else that moved! Watch TVNZ1 at 7.30pm this Sunday night or catch the programme later On Demand. For those of our friends based outside of New Zealand, the series will be available to buy on DVD in the coming months, keep an eye on the Natural History Film Unit's Facebook page for updates. The Auckland Islands are the largest of New Zealand’s sub-Antarctic territories. Howling winds and pounding surf have carved this island chain into a beacon of life in the bleak southern ocean. 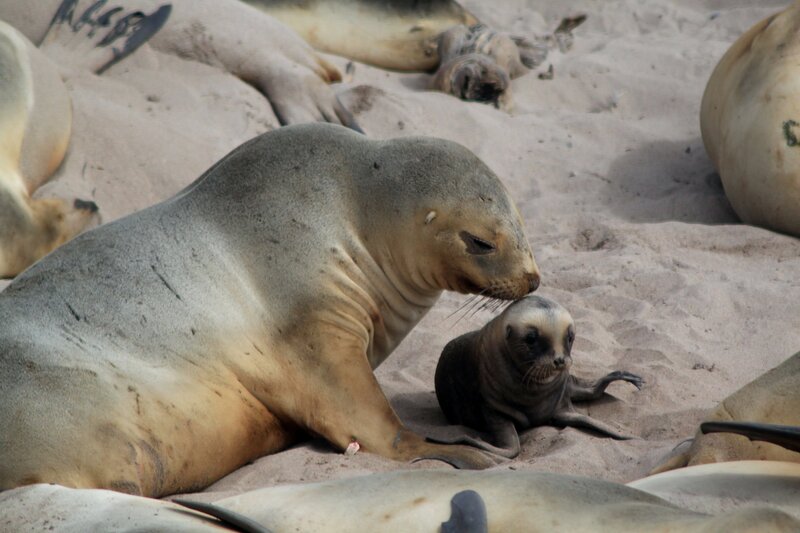 The arrival of New Zealand sea lions marks the beginning of summer. Every year massive bulls battle for mating rights, while new born pups scramble for survival amidst the brawling giants. Beneath the waves male giant spider crabs migrate from the depths to the islands coast to seek females and perform their bizarre breeding ritual. Yellow-eyed penguins which are year round locals must adapt to the new arrivals, and brave the gauntlet of hungry sea lions that block their daily passage to the sea, in order to feed their chicks.